Guest blogger Debbie Stuart serves as Director of Women’s Ministry at Prestonwood Baptist Church in Plano, Texas. As a leader for many years, she has seen ministry to women change often. Read her wise words about making change to benefit the lives of the women God brings into your life and ministry. When my family and I moved to a new home from a house we’d lived in for 10 years, it was quite a task! We had to decide what to pack, what needed cleaning, and what to throw away. On top of that, we had to make plans for things in our new home. Just like my family had to do those things to move to our next house, ministry leaders should figuratively pack, clean, throw away, and plan in order to move forward in ministry. God undoubtedly wants you to "pack up" and take certain things with you to the next level of ministry with Him. In addition, you also need to make sure your personal and your leadership team’s spirits are "packed full" with His Spirit so you can discern His leadership in your ministry. The best way to do both these things is to spend time alone with God first, and then spend time with your team discussing what He’s said regarding the ministry. · Arrange to get away for a set amount of time and give the Lord some undivided attention in regards to your women’s ministry. · Ask the hard questions: Will you still do whatever God asks of you in ministry? Are you still the leader He has chosen for this time in this ministry? · Ask for insight. With a clean heart – and clean sheet of paper – ask the Lord to reveal to you His design and ideas for this specific ministry. Jot down what He brings to mind. ·Ask for passion. Recommit yourself to this service. Dedicate and devote everything you’ve got! ·Ask others: What’s working? What would God have you keep as you learn to maximize the ministry? What are new ways your ministry can excel? What parts of the ministry are lacking and need some attention? Carve out time with your team to clarify, recommit, define hopes and expectations, and so forth. · Revisit each team member’s commitment level and calling to this ministry on an individual basis. Ask her to share where she is, what she believes her present calling is, her input into making the ministry stronger, etc. ·Replace team members who cannot give or follow 100 percent. Based on your discussions and interaction with your leadership, determine if the make-up of the team may need to change. Pray for God’s wisdom if a leader indicates she’d like to step down or if you believe a new leader is needed. · Refuel spiritually by studying, praying, and talking together. 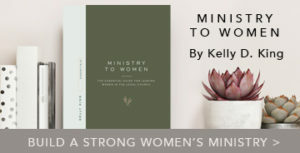 · Remind the team about God’s vision for women’s ministry. 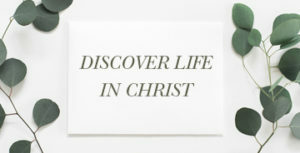 · Renew your commitment to the Lord first and then to the team. Whenever you move, you discover things you’ve kept but don’t really need. Sometimes it’s the same way in ministry. If it’s not contributing toward the God-given vision for your ministry, it may need to be thrown away. Pray through changes that could be made. · Take a hard look at what ministry offerings may not be what God has for your particular ministry. Ask the Lord if He wants you to leave those behind before moving on with Him. · Some things are no-brainers for the trash pile! Get rid of any personal agendas, pride, or unconfessed sin. You and your team must commit to each other and to the cause of Christ first and foremost. Step Four: Plan for the Future. · Communicate the additions/changes to the ministry. Give it a new look; ask questions; talk it up! 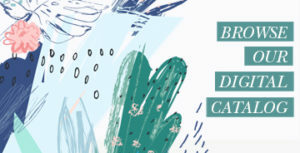 · Host a celebratory, motivational fellowship for all your ladies. Spend time explaining where the ministry is and where your team believes the Lord is leading you to go. Above all, remind them that each one of them is valued and needed. · Raise the level of expectation. Don’t be satisfied with status quo – expect big things from God! You and your team’s level of enthusiasm about what God is doing will filter down to the ladies in your church. · Think of ways to energize the women. In your ministry, try out something unexpected and different, and make it fun for your ladies. Putting a new twist on a "typical" women’s ministry event or activity can bring a fresh excitement. · Add a new ministry offering. As God leads, do something you’ve never done before – organize a mission project; try a new outreach event; the possibilities are endless! · Design a fresh look for the ministry. Have a logo created. Get your newsletter redesigned. Use available display space in your church to put "faces" with the ministry through photos, testimonies, and more. Make the ministry visible among your church and your community. · Survey women formally or informally about the ministry. Ask for insight, ideas, and input. You might also get ideas and good thoughts from other women’s leaders in your area, Web sites, and so forth. By taking these four key steps in your women’s ministry, you’ll be ready to move to the next level with God to reach women for Him. Debbie Stuart is Women’s Ministry Director, Prestonwood Baptist Church in Plano, TX and a LifeWay Ministry Multiplier. She earned her Women’s Ministry Advanced Certificate from New Orleans Baptist Theological Seminary and is a member of theAssociation of Women’s Ministry Professionals . In addition to being a conference and retreat speaker and Bible study teacher, she was the founder and director of Network Extravaganza in the Shreveport, Louisiana area. She is married and has two young adults.